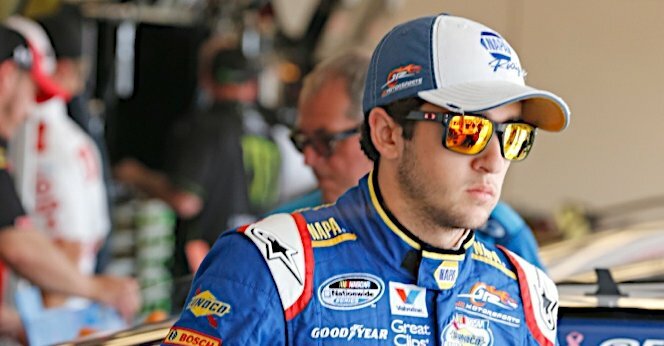 MOORESVILLE, N.C. (Aug. 13, 2014) – Chase Elliott is starting to get the hang of this road-course racing. The 18-year-old driver of the No. 9 NAPA AUTO PARTS Chevrolet and current points-leader in the NASCAR Nationwide Series has finishes of sixth or better in two road-course races this year. He finished fourth at Road America (June 21) and sixth last Saturday at Watkins Glen International to tally a combined 78 points. He never registered any laps led, but he did contend for the lead against some of the best in the road-racing business, and he nearly won Road America when he stole the lead away from Brendan Gaughan on the green-white-checkered restart before being overtaken in turn 12. Elliott will get another shot at road-course glory this weekend when the NASCAR Nationwide Series heads to Mid-Ohio Sports Car Course for its third and final road course race of the year. Still somewhat unfamiliar to traditional stock car fans since NASCAR only began competing there last year, Mid-Ohio Sports Car Course is a tricky 2.4-mile, 13-turn course located in Lexington, Ohio. Elliott enters the weekend with a 12-point advantage over JR Motorsports teammate Regan Smith in the championship standings. The deadlocked Elliott Sadler and Ty Dillon trail by only 13 points, as a four-horse race to a championship emerges. Elliott enters the weekend with a 43-point lead over Dillon in the Sunoco Rookie of the Year battle. The Nationwide Children’s Hospital 200 will be broadcasted live on ESPN and MRN/Sirius XM Channel 90 at 2:30 p.m. ET. “Last week we showed up at Watkins Glen with a fast NAPA AUTO PARTS Chevrolet, but it took me some time to figure out how to get around the track. My intention for this weekend is to use the notes we gathered from Road America and Watkins Glen to get ahead so we’re not ‘searching’ as much, but rather just going out there and getting the job done.